Being able to maintain your grip is vital, especially for delicate components. The MaxiDry Fully Coated Oil Repellent 56-426 Gauntlets are fully coated to provide you with additional grip. This makes the gloves perfectly suited to oily and dirty environments where precision is required. The MaxiDry Fully Coated Gauntlets have been tested to EN 374-1. They provide a low level of resistance against chemicals and micro-organisms. These are designated Category III gloves, meaning they should be suitable for use in most heavy-weight tasks. The gauntlets repel oils, liquids and chemicals for excellent safety in oily or dirty environments. The MaxiDry Fully Coated Gauntlets are available in six sizes to fit most hands. Please measure the circumference of your hand around the knuckles (excluding your thumb) with your palm open and your fingers together. These gloves are 26cm in length for added forearm protection. Learn more about these gloves by watching the short video below. 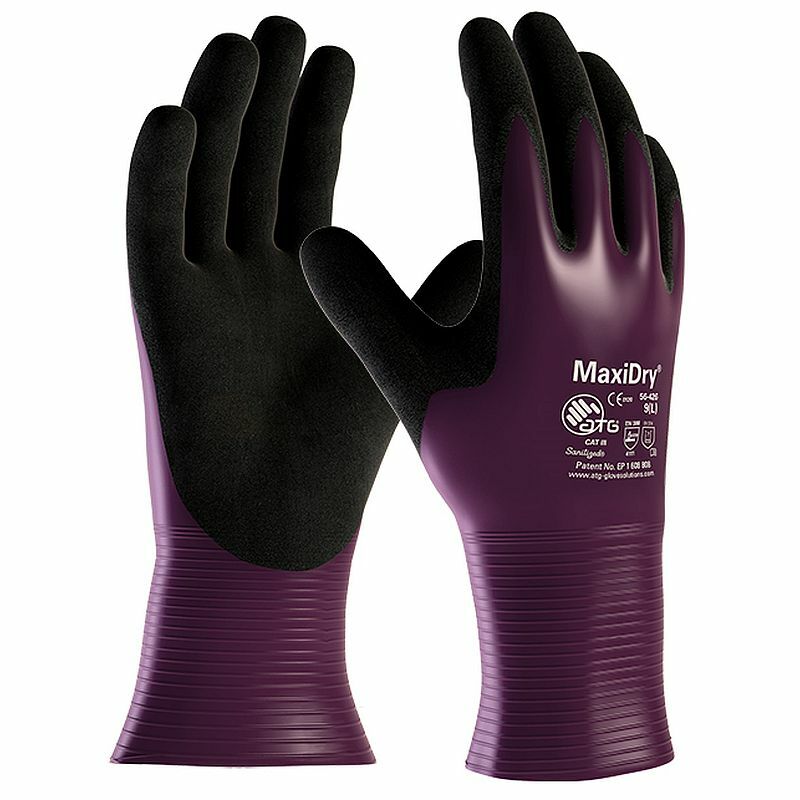 The MaxiDry 56-426 Gauntlets provide excellent resistance against a wide range of hazards while also remaining ultra thin and lightweight for component handling. As a landscape contractor I find these gloves ideal in winter. You still have good dexterity and feel but your hands stay dry. They are strong and with a pair of under gloves are ideal when it's cold.